The one chick-Lit I read this summer was All We Ever Wanted by Emily Griffin. Let me tell you, I had high hopes for this one! 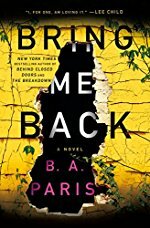 I have read all of her other books and could not wait till this book came out, but I must say I was disappointed. I felt like the book was alright, but the ending was a complete dud. It's like she just gave up writing. I wouldn't say it was a waste of my time, but it left me wanting more. Sans the ending, it was a good book. Overall though, I expected more from Griffin. As you can see, I love me some B. A. Paris! I would classify all her books as psychological thrillers and good ones. They are unique enough to stand on their own. (She does not overlap characters or plots.) 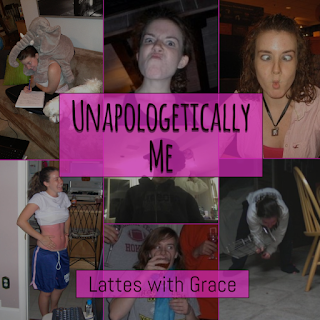 I cannot wait 'til her next book comes out! The Breakdown was her second book and lived up to being listed in 2017 as One of the Most Anticipated Psychological Thrillers and nominated as a finalist in 2018 for One of the Best Psychological Thrillers. 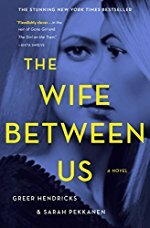 This book is equally enticing as her other books and essentially is about a woman having a breakdown. The story really takes you for some twists and will keep you guessing. 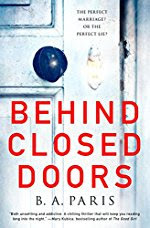 Her most recent book is Behind Closed Doors, which will keep you emotionally involved in the plot all the way up 'til the end. This one is about a woman who has finally found the man of her dreams, or so she thought. But right after she gets married, what her life is and what happens behind closed door are two different stories. 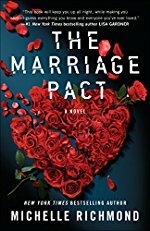 The next book is also about a newly wed couple - The Marriage Pact by Michelle Richmond. 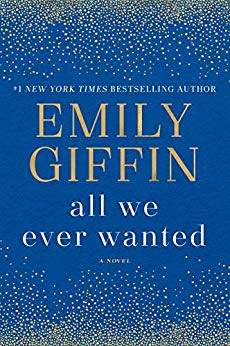 This story is about a couple who as a gift for their wedding were given an invitation to become members of an exclusive club called the Marriage Pact. The story follows them discovering the "rules" of the pact and the consequences that follow for not adhering to said rules. No couple that is a member of the pact has ever gotten divorced; but a one hundred percent success rate may not be a good as it sounds. 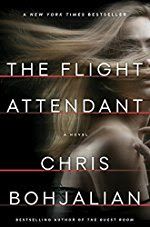 Last book I'm going to review today is The Flight Attendant by Chris Bohjalian. Think murder mystery with the mob involved. 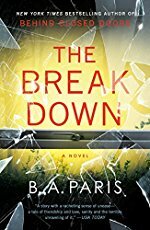 This book revolves around a murder that has happened abroad and a flight attendant whose life is a bit of a hot mess. That's all I'm going to say about that so I don't give out any spoilers.